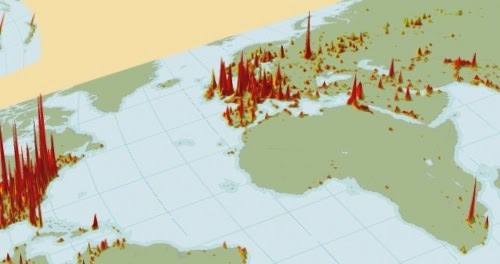 As urban studies guru Richard Florida preaches, "the world is spiky." Artists, musicians and other creative types tend to concentrate themselves in large cities, where they can best express themselves. A new study released by the Cultural Policy Center at the University of Chicago tends to indicate that Cleveland should be put on that spiky map, at least when it comes to cooks, chefs, and musicians. 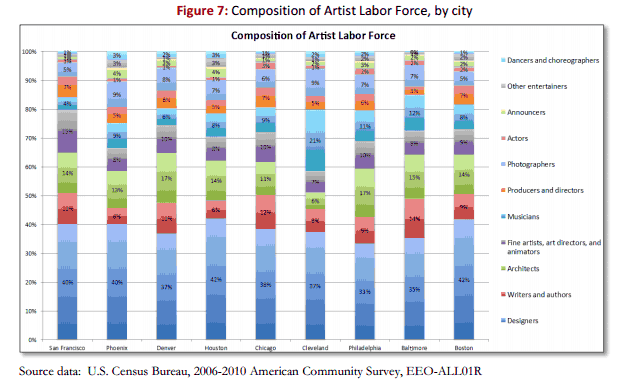 The report seeks to measure the "creative economy" of Chicago by comparing its creative workforce to a cross-section of comparable cities: San Francisco, Phoenix, Denver, Houston, Cleveland, Philadelphia, Baltimore, and Boston (Sorry Pittsburgh; you're better off beating up on Columbus). 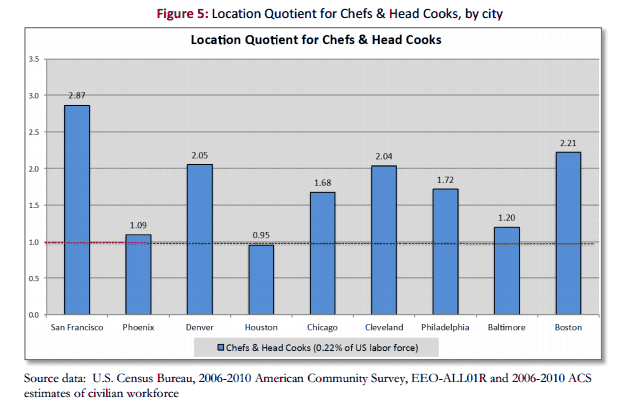 Places where Cleveland scored high: the relative locations of chefs and head cooks. No surprise there, as we all know the Cleveland dining scene is hot, but it is a bit of a shock that it exceeded Chicago's. I wonder if they counted pizza place employees in this one. Cleveland's artist population contains a disproportionately large group of musicians--21%, almost double that of the next-largest group of musicians, who live in Baltimore. A relative dearth of other artistic occupations is quite prevalent here, but one commodity we're not running short of is bands. After all, we're the "Rock and Roll City."